Encompassing a wide range of techniques, spectroscopy is used to analyze chemicals, biological and pharmaceutical compounds, food and beverages, and high-tech materials. Covering the whole range of spectroscopic techniques, this book provides a thorough overview of underlying principles, techniques and applications. 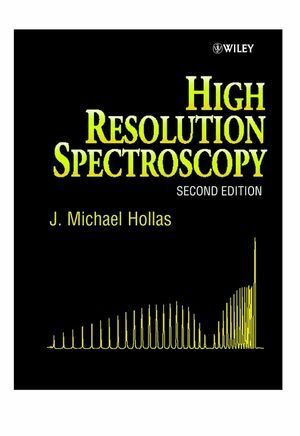 Dr. Hollas is a well-known author and authority in the field, and this book is an expanded version of his well-received lower-level book, Modern Spectroscopy, now in its third edition (0-471-96523-5). ... it contains a great deal of material and is beautifully written; every library should contain a copy; every student of spectroscopy (no-matter what age!) should have a copy on their shelves." J. Michael Hollas is a retired university lecturer with many years of teaching and research experience. He has written over 100 research papers. Prior to Modern Spectroscopy, he published three books, Symmetry in Molecules, High Resolution Spectroscopy, second edition. and Basic Atomic and Molecular Spectroscopy. Interaction of Electromagnetic Radiation with Atoms and Molecules.